The new GTSR 1” WavLoc XL design allows the OEM and/or end user to install and remove webbing that has been doubled over and bar-tack/tie-tacked on the ends. 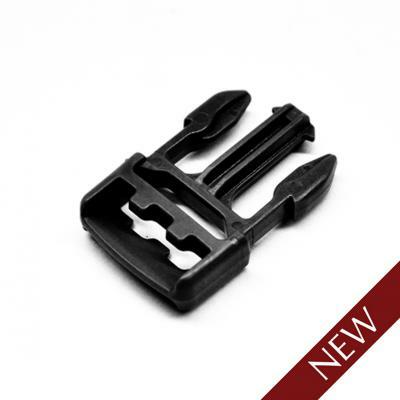 Designed for use with thicker webbing materials, the WavLoc XL tooth design allows for easy field repair and provides a heavy duty secure solution that is cross-compatible/interchangeable with all GhilleTEXTM GTSR 1" buckles. The new WavLoc XL design uses a treacherous path area to provide superior webbing grip while providing a higher release angle. GTSR Waveloc XL Latch 1"